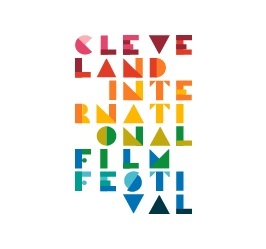 Cleveland International Film Festival was really impressive. Very well attended, lots of passionate and informed filmgoers. Most of the screenings were sold out or on standby. Great questions from the audience after the screening of “Hove”. Always amazed at what people think they have heard. One person asked if the Turkish government hadn’t already acknowledged the genocide and apologized, probably a wild misinterpretation of the recent disastrous Turkish – Armenian protocols. I explained that no such acknowledgement or apology by the Turkish government had taken place. There was the very encouraging apology website signed by over 30,000 Turkish citizens but there is still a very long way to go. Saw an amazing documentary called “9,000 Needles” – A man suffers a stroke and after months of care in top of the line US hospitals with no marked improvement and his insurance coverage maxing out, his family takes him to China to a special acupuncture stroke clinic. He sees more improvement there in one day than in all his previous traditional modern medicine treatments. It is a real eye opener. Congratulations to Bill Guentzler for directing an amazing festival. More to come.